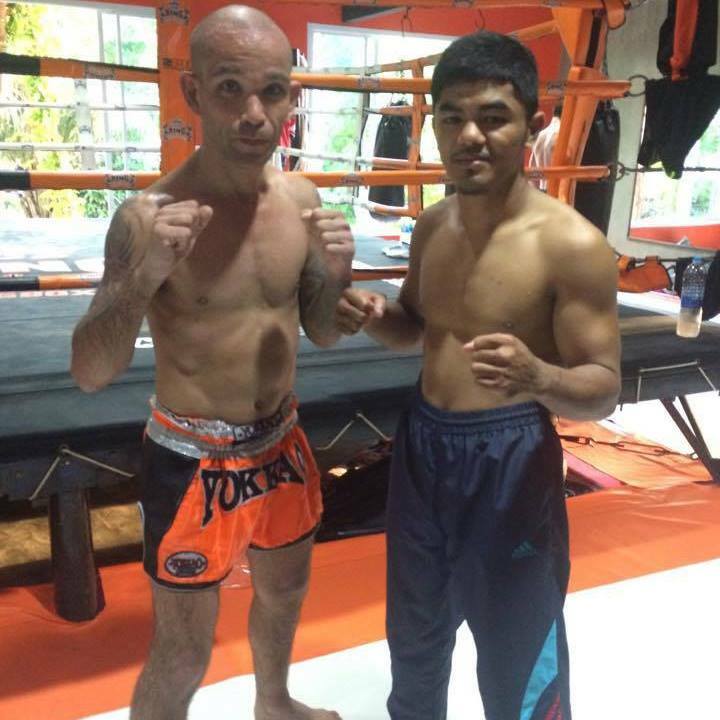 November 1, 2015 Martial Arts, Muay Thai, Personal Development, SportsCombat Sports, Fighting, Muay Thai lifeThe Little fighter still has a big heart. Well it’s been another good week of training. I’ve been cruising through the week in second gear so next week I’ve got every intention of putting my foot down on the gas a little and making sure as always I’m putting in the work. The end of November is looking promising so I want to make sure I’m at my best, as of course I want to finish off the year on a good note. It’s good to be able to train all week and living in the land of self employment (when I’m not punching people in the head I’m a freelance IT consultant) I can make sure as always that I put in the time I need to keep at my best or make sure at the very least I’m working towards it. I’ve made sure I’ve put in some time for running this week as I want to get my fitness back up to where it should be and I find it always helps with a weight cut too. I share the same mentality as most that if you don’t run then you don’t fight so it’s been good to start working on some cardio and endurance outside of the gym. I think I’ve ended up running nearly every day this week which is great, and also gives me the peace of mind that my shin has healed up well. In fact it’s been through some pretty grueling sparring sessions of late so it’s good to know that it can still take a battering. Yesterday’s pad work at Team Tieu had a nice format to it and was very similar to the way I was used to training out in Thailand earlier this year and last year. Although combinations are important, you can still develop a flow through powerful single shots, and I’m pleased with how it went although I need to start working on fast response. I hit and kick hard but my reactions need to improve. I know this will get a lot better over the coming weeks and I’m putting it down at present to not putting my fighting head on. I’m pleased to say I feel a little more focused at the end of this week so I’m sure I’ll hit the ground running next week onwards. Like with everything Thai drilling is really the key. My left roundhouse is still my favourite thing, and my hot shoe shuffle right switch (if you’ve seen me do it you’ll know what I mean) needs a lot of improvement although my right kick has got a little better overall. I’ve decided that I’m going to adopt a similar format to training as out in Thailand and make sure that before every session I’m running to give myself a good warm up and of course to push myself a little more than usual. It’s something I used to do religiously along with the other fighters from my gym when I trained in Bournemouth (if we had fights coming up it was a given that was what we were expected to do before the session started). Speaking of Thailand, I’m heading back out for the third time next February and of course I’ll be training at Sitsongpeenong Phuket again. I’m already wishing the remainder of the year away, and I’m sure it’s as always going to be time well spent. I guess when you’ve got the opportunity to train with the best you need to make the most it. I also intend to head across to Bangkok one weekend to play catch up with a couple of friends of mine, so all in all good times lie ahead. I’m still doing my best to work on developing myself with fighting and I feel that I’m making some headway. As with all things in life it equates to putting in a lot of hard work to best at my best but I think I’m going to end up getting there. So when I look at myself and training at present it’s still a lot of fun and fighting is still a big part of the overall picture. There’s no reason to stop doing something when you can see yourself getting better at it and your putting in the work to make it happen. In the meantime, next week it’s back to some good old fashioned graft. Some old friends of mine in Portsmouth once said to me ‘you’ve changed so much since you started training!’ I thought then and I think now that really they ain’t seen nothing yet. Have a good week, train hard and just like the last time, I’ll see you on that road.